An agricultural year begins at the beginning of July and ends on the last day of June the following year. 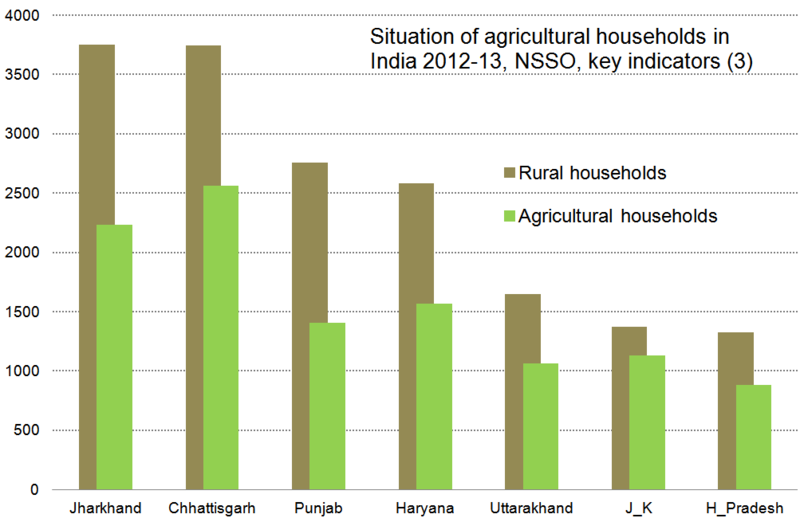 What we know now, thanks to the data provided by the Situation Assessment Survey of Agricultural Households, carried out by the National Sample Survey Office (NSSO) of the Ministry of Statistics and Programme Implementation (MoSPI) is that in the agricultural year 2012-13, rural India had an estimated total of 90.2 million agricultural households. 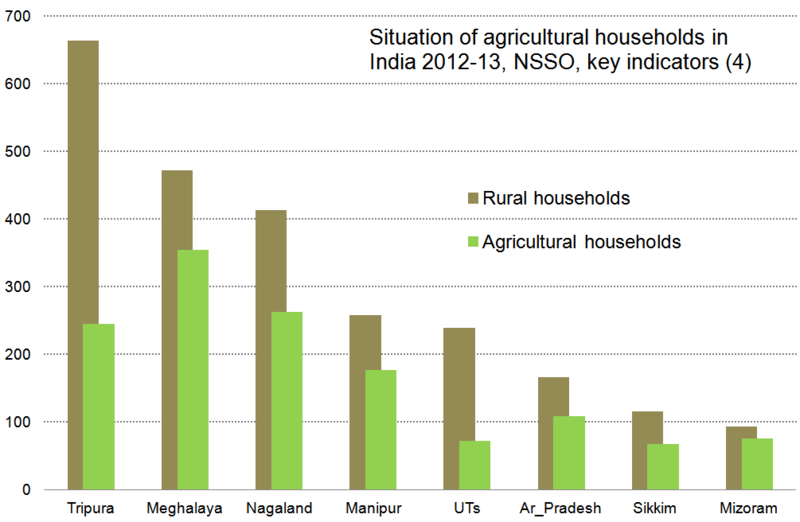 These agricultural households were about 57.8% of the total estimated rural households. Uttar Pradesh, with an estimate of 18.05 million agricultural households, accounted for about 20% of all agricultural households in the country. Among the major states, Rajasthan had the highest percentage of agricultural households (78.4%) among its rural households followed by Uttar Pradesh (74.8%) and Madhya Pradesh (70.8%). 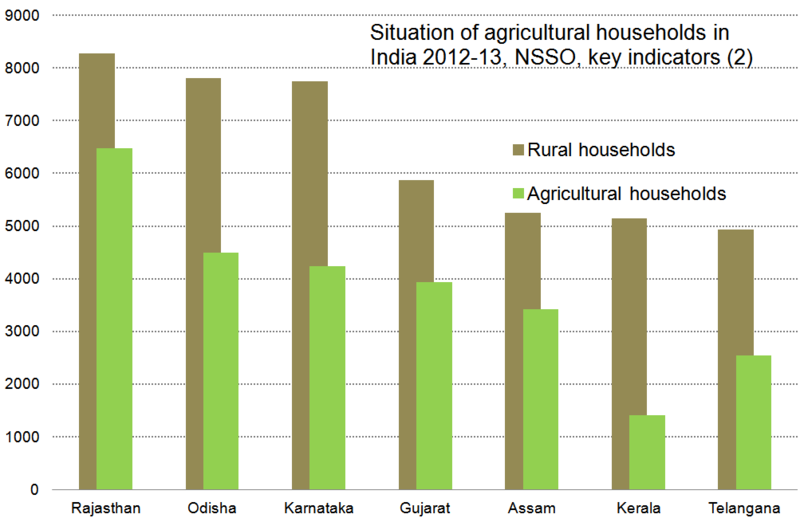 Kerala had the least percentage share of agricultural households (27.3%) in its rural households preceded by other southern states like Tamil Nadu (34.7%) and Andhra Pradesh (41.5%). The NSSO’s previous such survey (the ‘Situation Assessment Survey of Farmers’) was conducted in 2003. The differences between the two, a decade apart, have been explained by the NSSO. First, such surveys aim to gather an assessment of the situation of our farmers and farming households. This assessment determines a standard of living as measured by consumer expenditure, income and productive assets, the indebtedness of farmers and farming households, farming practices and preferences, what resources are available to them, their awareness of technological developments and access to such technologies. 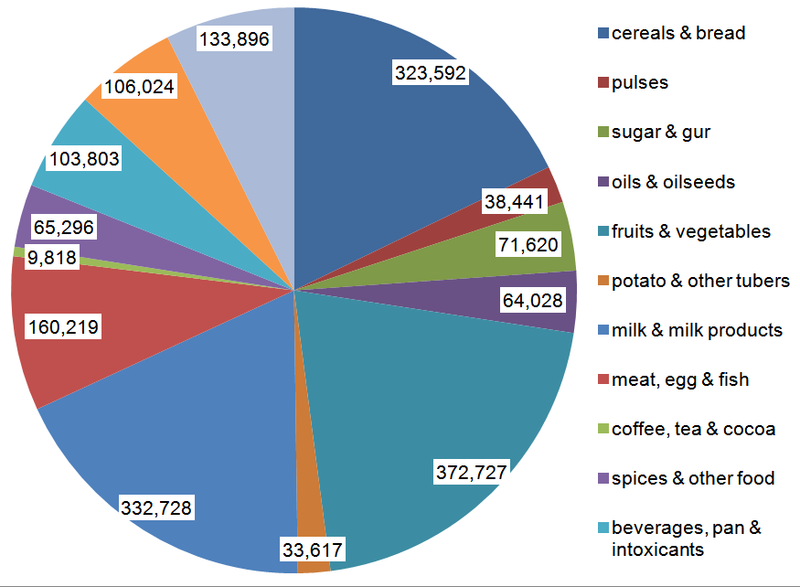 The survey for the 2012-13 agricultural year also collected information on crop loss, crop insurance and awareness about the Minimum Support Price (MSP). Second, the big difference between the two surveys is that the new survey has dropped the criterion of land possession for considering a household agricultural. “Recognising the fact that significant agricultural activity can be conducted without possessing any land, the definition of ‘farmer’ and ‘farmer household’ followed in NSS 59th Round was critically reviewed and the land possession as an eligibility criterion was dispensed with, replacing it with the concept of ‘agricultural production unit’ as one which produces field crops, horticultural crops, livestock and the products of any of the other specified agricultural activities,” is how the new survey (called the 70th Round) has explained its decision. I find this puzzling and an aspect that needs careful probing. We know, from a close scrutiny of the Census 2011 data at the district level, that the number of people and households engaged in cultivation and farming has dropped when compared to the last census, in 2001, and the previous census, in 1991 (as a percentage of the rural working population but in several cases as absolute population numbers too). What reason could the NSSO have had to amend the definition it used ten years earlier? “With a view to keep the large number of households with insignificant agricultural activities out of survey coverage, it was decided to have a minimum value of agricultural produce for a household to qualify as an ‘agricultural production unit’,” the NSSO has explained. I cannot follow this reasoning. Are urban households which make negligible contributions to the local gross domestic product to be kept out of surveys that ought to assess their conditions – such as those with pensioners and informally employed people who get by on job work? If this is the basis for exclusion, what qualifies a household for inclusion in the survey? The NSSO has considered average Monthly Household Consumer Expenditure (MHCE) for “home grown consumption of some specific items” and adopted a cut-off value amount of 3,000 rupees worth of annual agricultural produce. The activities which provided such value are given as “cultivation of field crops, horticultural crops, fodder crops, plantation, animal husbandry, poultry, fishery, piggery, bee-keeping, vermiculture, sericulture etc” with such a household “having at least one member self-employed in agriculture either in the principal status or in subsidiary status during last 365 days”. This cut-off value amount needs investigation. So does the idea of an ‘agricultural production unit’. And the NSSO for this survey has also excluded households which are entirely agricultural labour households, those households receiving income entirely from coastal fishing, as also the activity of “rural artisans and agricultural services”. 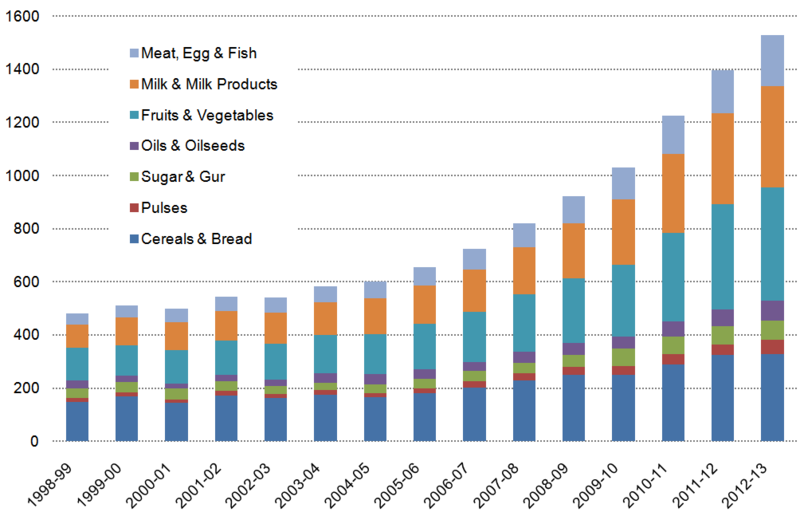 Nonetheless, these data are important and useful for our understanding of the changes that have taken place in the food and agriculture domain. Are those standing for election to the Lok Sabha capable of relating to the needs of those they claim to represent? Many measures exist for testing that claim, and the most base amongst them concerns income and assets. If your candidates are very much richer than you are, once elected how much of their energies will they devote to enriching themselves (and their sponsors) rather than attending to your civic needs? 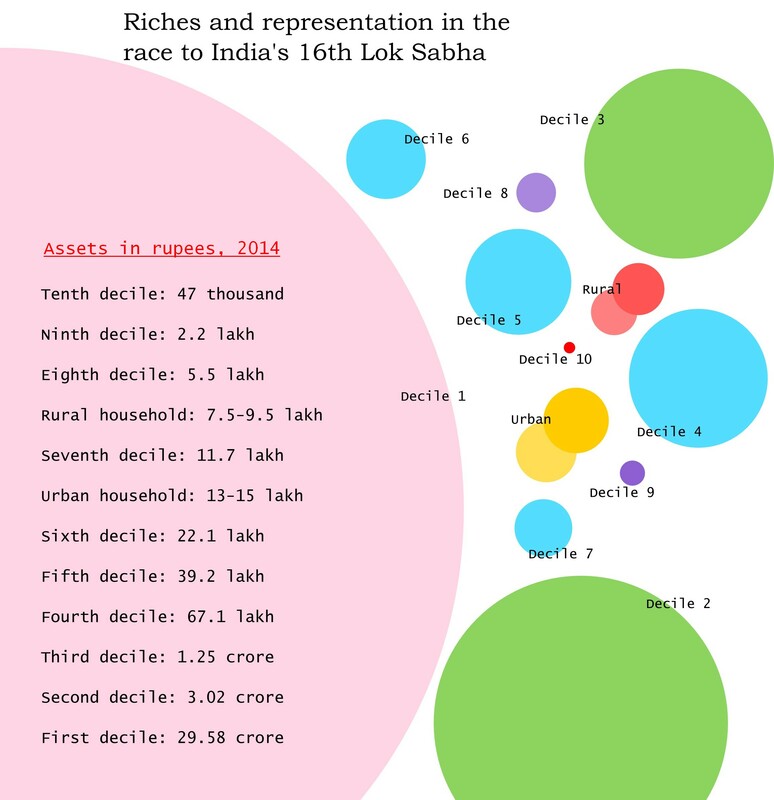 The area of the circles represents candidates’ assets in rupees for 2014. 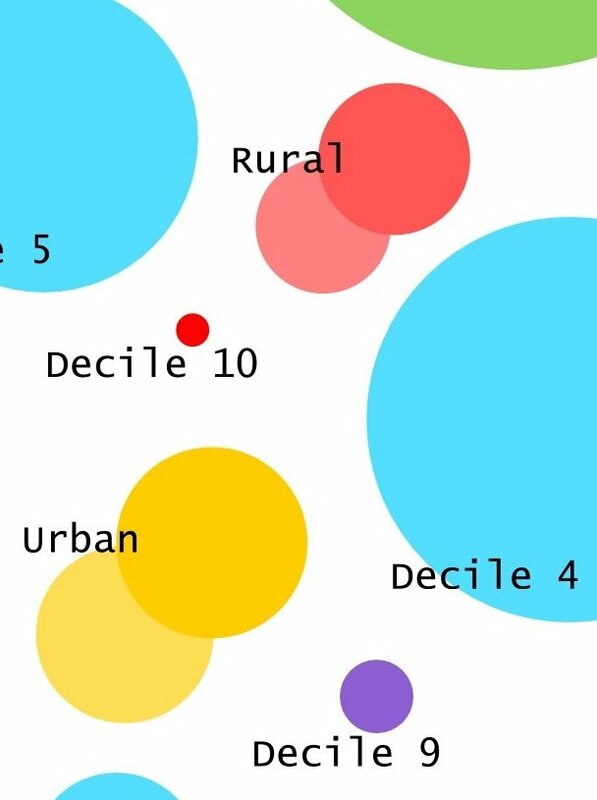 The twin circles for rural and urban households’ assets is based on NSSO studies, with upper and lower circles being estimates of household assets using higher and lower growth rates to provide comparisons with candidates’ declarations for Lok Sabha 2014. This chart shows why this should be a matter of democratic procedure. The data has been taken from the excellent work done by the Association for Democratic Reform, which runs the ‘My neta’ website, which has tabulated the statutory declarations of the candidates. Among the set of declarations is the candidates’ assets. To show the relation between what the candidates to Lok Sabha 16 have declared and the assets of those they say they represent, I have included national averages, rural and urban, for household assets. There are 12 assets averages to be seen. The candidates (more than 3,200) have been divided into deciles (or tenths) ranked by their declarations. Thus the eighth decile would have candidates in the 80% to 70% positions ranked on rupee value of assets, and the fifth decile would have candidates in the 50% to 40% positions, and so on. 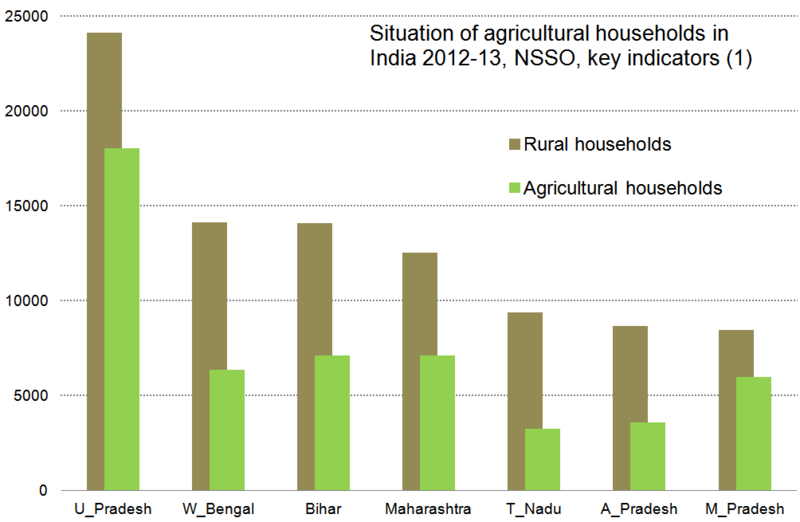 In between are the average household assets for rural and urban households in India. These are taken from studies based on the National Sample Survey Office (NSSO). The chart displays these averages as a pair (lighter and darker coloured circles) to indicate a range. We find the assets of the rural household are between the eighth and seventh deciles of what candidates have declared, and the assets of the urban household are between the seventh and sixth deciles of what candidates have declared. This chart tells us very quickly that from the sixth decile of candidates onwards, their worth is already at least twice that of those they claim to represent. At the fourth decile, their worth is a stratospheric eight times that of the average rural household. 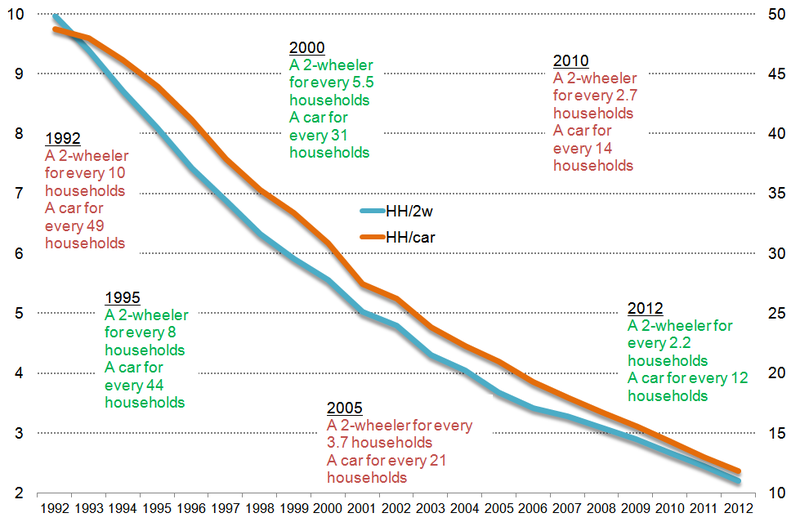 At the second decile, their worth is an astounding 20 times that of the urban household. At the first decile, the equation is meaningless. This is not based on an exact mathematics. The asset averages for the rural and urban households I have used are broad estimates, and are no doubt skewed by the richer rural and urban deciles and quintiles themselves. But the relative differences are seen starkly, and help indicate why the inequality between Member of Parliament and electors we saw in 2009 has deepened in 2014.